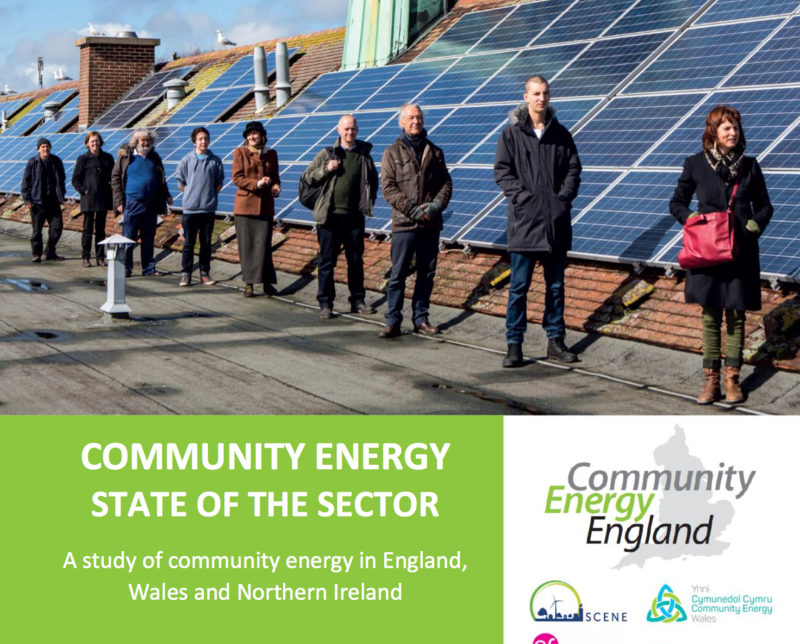 Last month Community Energy England released the first Community Energy: State of the Sector report – the most in-depth study of national community energy activities to date. The report provides an insightful and powerful snapshot of the amazing achievements of the community energy movement which we are proud to be a part of. The State of the Sector report was released in June at the national Community Energy Conference – despite many challenges and barriers to the movement over the last few years the overall mood to both the report and the Conference was positive, enthusiastic, and hopeful for the future. Sheffield Renewables has itself faced many challenges and barriers to the development and delivery of community energy projects in the city – and continue to do so! But, as with the rest of the sector we are determined and hopeful for the future and remain committed to advancing our aim of installing 0.5MW of community owned energy – benefitting Sheffield’s environment, communities and economy. With the support and strength of the wider community energy sector we will continue to move forward together, and we’re excited to see what achievements future State of the Sector studies highlight in the years to come. The Key Messages from the report are summarised below, but we recommend reading the full report which includes many inspirational case studies. There is also a great Executive Summary and Infographic Booklet available to download (links below). Community energy is widespread: 222 community energy organisations throughout England, Wales and Northern Ireland involved in 269 distinct energy activities. Community energy is significant: organisations own 121 MW of energy capacity, which has generated 265 GWh of energy since 2002. A further 74 organisations are actively providing energy efficiency interventions in their communities. Community energy organisations are economically effective: organisations have leveraged over £190m in project finance from £1.9m of project development funding. Community energy projects are beneficial: £680,000 income for community benefit funds has been generated in the last 12 months for local economic, social and environmental benefit. The sector is at risk: unprecedented reductions and early retractions of subsidies and tax incentives are negatively impacting on the viability, and subsequent success, of projects throughout the community energy sector.